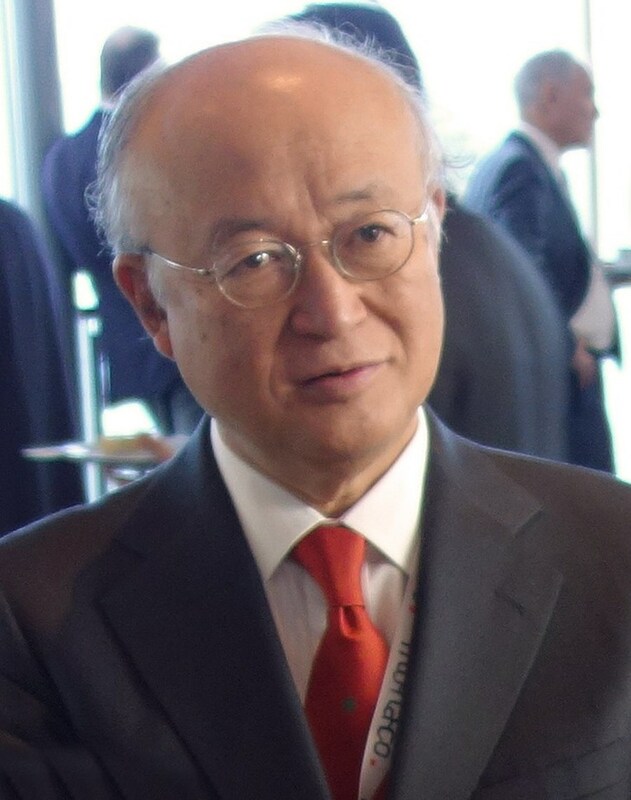 The ITER Tokamak is by now familiar to HSH Prince Albert II of Monaco, who stands with Yukiya Amano, Director-General of the International Atomic Energy Agency (left) and ITER Director-General Motojima (right). A little kingdom by the sea was the capital, this week, of the world fusion community. For the second time in three years, representatives of the ITER Organization, the ITER Domestic Agencies, international fusion labs and industry gathered for three days in the Principality of Monaco at the invitation of His Serene Highness Prince Albert II to confront their experience and explore the many facets of the industrial activities which are developing within the ITER Project. The Monaco ITER International Fusion Days (MIIFED) are one of the offshoots of the partnership that was established in January 2008 between the ITER Organization and the Principality of Monaco, a small, independent state of 30,000 inhabitants located on 200 hectares (500 acres) between Nice, on the French Riviera, and the Italian border. 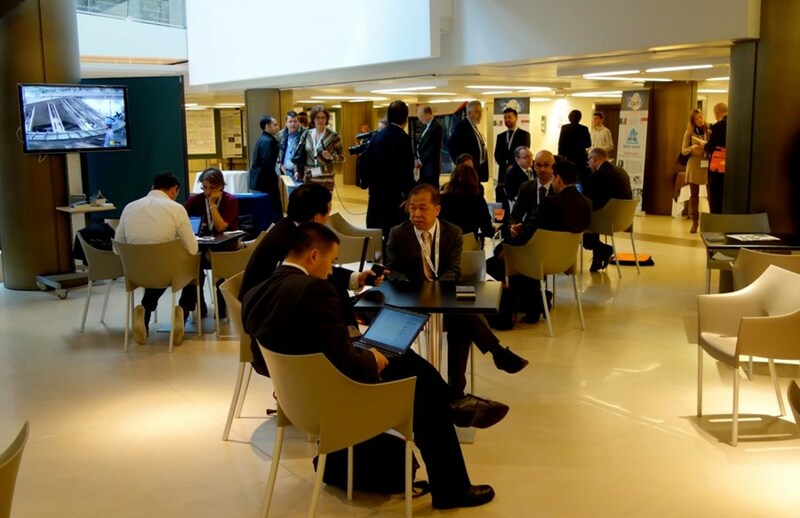 This periodic conference, attracting a wide international audience, is organized to spotlight the status of the ITER Project and ITER-related research. 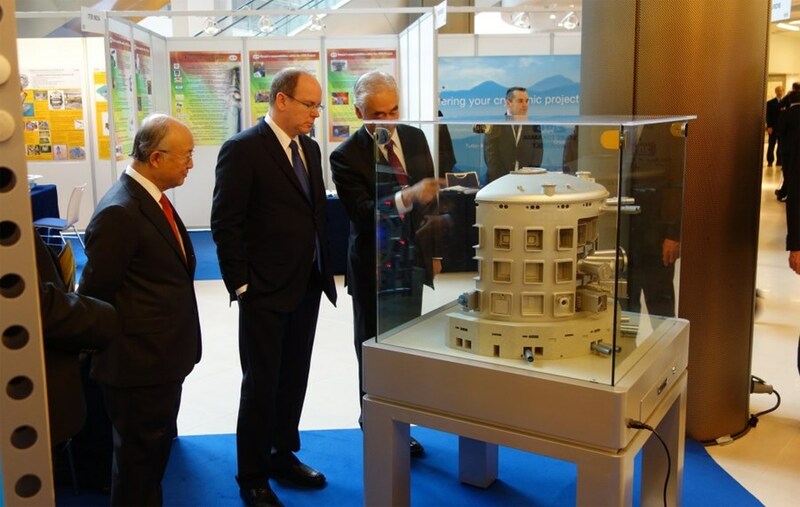 Prince Albert II greeted the 350 participants to MIIFED 2013 on Monday 2 December by emphasizing that it was his country's tradition of "sensitivity to energy and environmental issues" that had convinced him five years ago to participate in the ITER Project. In addition to the MIIFED conference, in the frame of the Monaco-ITER Partnership Arrangement the Principality finances five post-doctoral researchers at ITER every two years. The five current Monaco Fellows, present at the conference, were able to discuss their areas of activity with the Prince and thank him directly for his support of their research. Time for networking in between sessions and conferences. ITER Director-General Osamu Motojima also expressed his gratitude to Prince Albert II "for his continual support of the ITER Project and his enduring generosity." 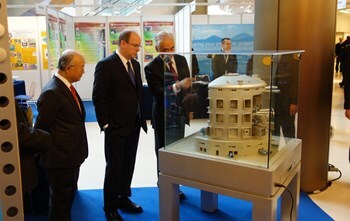 In his opening remarks, the ITER Director-General stressed that the ITER Project is now entering its industrial phase. "It is from you," he said to representatives of industry from around the world, "that we have to learn in order to prepare the industrial and commercial future of fusion energy." The first day of the conference—under the theme of "The Global Energy Landscape"—featured keynote lectures from Maria Van der Hoeven, Executive Director of the International Energy Agency (IEA), and Yukiya Amano, Director-General of the International Atomic Energy Agency (IAEA) (see quotes below). In the afternoon, ITER Council Chair Hideyuki Takatsu presented the status of ITER, and Chris Llewellyn-Smith, director of energy research at Oxford University and former ITER Council Chair (2007-2009) explored the world's future energy needs ("With and Without Fossil Fuels"). A round table later gathered representatives of the seven ITER Members and of Agence Iter France for a wide survey of national energy policies and roadmaps to fusion energy. All presentations converged from very different starting points to similar conclusions: fossil fuels will remain dominant for a few decades to come, and conventional nuclear energy still has a bright future ahead (especially in Asia where the energy demand is growing the fastest). And as for fusion energy, most experts agreed that it will not reach the grid before 2050. However, assured Chris Llewellyn-Smith, "it won't be too late..."
The MIIFED 2013 conference concludes on Wednesday, 4 December. "It is my country's sensitivity to environmental issues which triggered our decision to participate ... in the ITER Project." "And it is a great pleasure for us to offer young researchers an opportunity to pursue their studies for two years in the ITER laboratories ... [With] every new class we take the full measure of their motivation and commitment." "[The highly sophisticated ITER components] present tremendous opportunities for industry at large. As ITER drives technological development, it contributes to stimulate the strategic capabilities of the companies involved in the project." "As representatives of industry, large or small, you have a lot to contribute to ITER and, beyond ITER, to the future of fusion research. It is you who tackle the very concrete issues of making real components—very complex components!—out of our designs. It is from you that we have to learn in order to prepare the industrial and commercial future of fusion energy." "The men and women of ITER, coming from these 35 nations, are inventing a new and never-before-experimented way of working together. 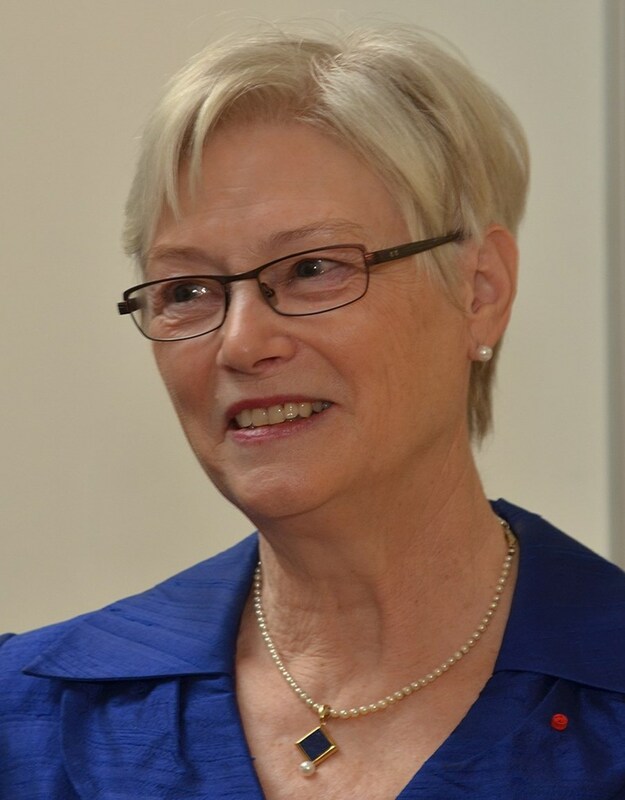 They are already setting an example for all future large-scale international collaborations." "The shifted energy demand is not matched by a shift in the energy mix. The fossil fuels' share is still what it was 25 years ago." "Fusion has the potential to be a game changer for the next generation [...] Earning public acceptance is key." "[When we get the real results, around 2050] fusion's timeline from discovery to initial development will not be that different from the timeline of other energy sources." "We need more awareness [of fusion] at the political level." "Fossil fuels will continue to play a central role in the many years to come." "Global use of nuclear power is set to increase. There was an assumption that Fukushima would be a major obstacle to the development of nuclear energy. This has been proven wrong. There are presently 70 nuclear power plants under construction, mainly in Asia. In 2013 only, construction started on nine plants and in two new countries, Belarus and the United Arab Emirates. This is very different from what happened after Chernobyl, when two years elapsed without construction." "ITER is one of the most complex engineering projects in the world. But I have faith in the ingenuity of human beings." Click here to view more pictures of MIIFED 2013.